Let's watch the groundhogs! Its the Groundhog Day DCT for February 2nd! Groundhog Day is a holiday celebrated on February 2 the the United States and Canada. 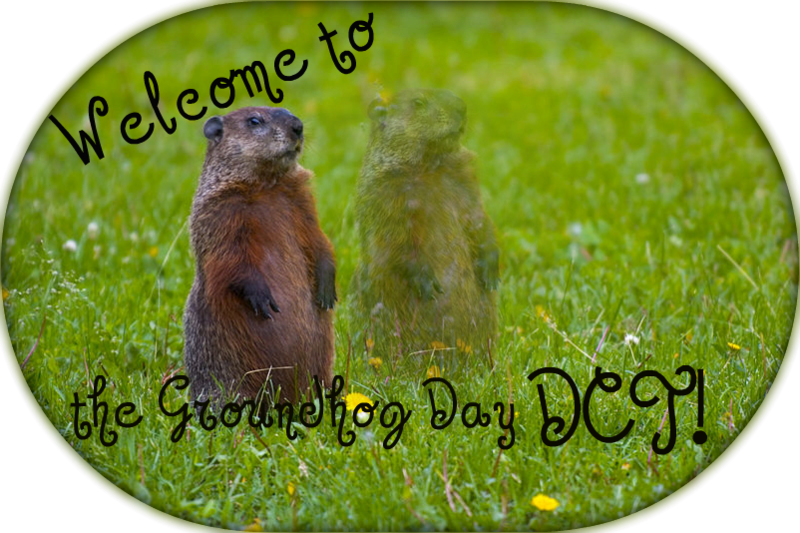 According to folklore, if it is cloudy when a groundhog emerges from its burrow on this day, it will leave the burrow, signifying that winter-like weather will soon end. If it is sunny, the groundhog will supposedly see its shadow and retreat back into its burrow, and the winter weather will continue for six more weeks. The largest Groundhog Day celebration is held in Punxsutawney, Pennsylvania. Groundhog Day, already a widely recognized and popular tradition, received widespread attention as a result of the eponymous 1993 film Groundhog Day, which was set in Punxsutawney and portrayed Punxsutawney Phil. Most people don't really celebrate Grundhog day, but its really fun to watch groundhogs. Hi :] . Great DCT, btw! i had no idea there was a new DCT. gotta go anyways. Awww.. :[ C ya! Come on later.. if you can.